Had a good spin of the legs today on the cross country bike! These technologies all claim to allow the helmet to rotate independent of the head, reducing forces that have been linked to concussions. The post Spin Doctors: How the Bike Industry Wants to Protect Your Head appeared first on BIKE Magazine. 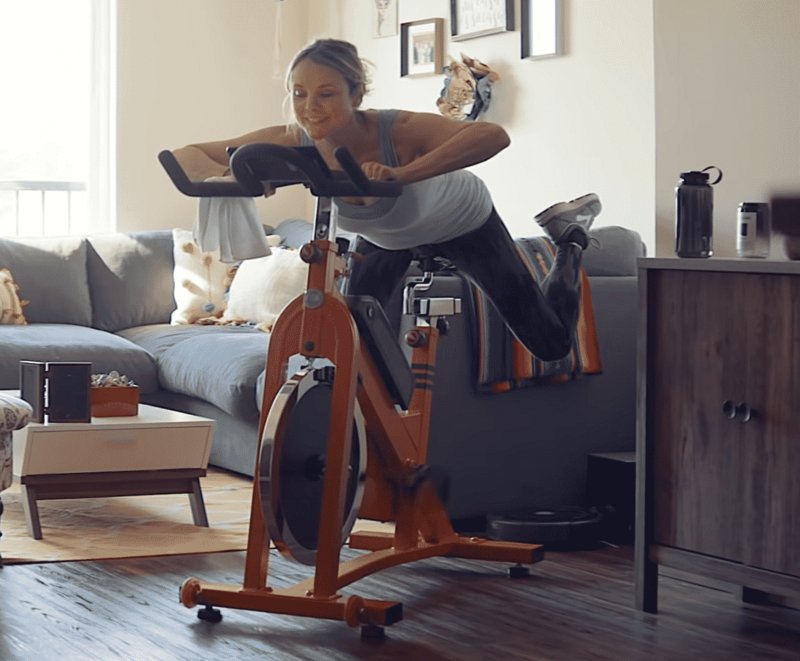 RadFit-Power Your Workout Like a spin class on steroids, the RadFit electric stationary bike features a classically Rad colorway and our standard 750W electric motor. The RadFit does your workout so you don’t have to. For more info, check out www.radpowerbikes.com THERE ARE SO MANY WAYS TO GET ELECTRIC BIKE ACTION In print, from the Apple newsstand, or on your Android device, from Google. Available from the Apple Newsstand for reading on your iPad, iPhone or iPod Touch. Subscribe Here For more subscription information contact (800) 767-0345 Got something on your mind? Let us know at hi-torque.com The post RadFit-Power Your Workout appeared first on Electric Bike Action. POC Tectal Race Spin Helmet POC Sports is a Swedish company that was founded in 2005 to create safer equipment for gravity sports athletes and cyclists. The company began designing products for the ski market and later ventured into the cycling industry, bringing technologies such as MIPS to the table. That’s right, for those of you who may not have known, POC was the first company to incorporate a MIPS liner into a mountain bike helmet. POC and MIPS, both Swedish companies, continued to work together until POC announced a new safety technology they had been working on called SPIN. POC’s SPIN (Shearing Pad INside) technology was designed to replace the yellow MIPS liner seen in many helmets today. MIPS technology has been widely accepted and used by many helmet manufacturers to add a low-friction layer between a rider’s helmet and head, reducing rotational forces experienced during a crash. While the yellow thin liner known as MIPS has developed an almost cult-like following, POC has moved away from using MIPS in any of its new helmets. Our testers decided to see for themselves what POC’s new SPIN technology is all about. Tech features: The Tectal Race SPIN is a helmet designed for aggressive trail riders and enduro racers. Constructed from a fully wrapped unibody shell and featuring deep coverage around the temples and back of the head, the Tectal is built with safety and strength in mind. Aramid bridge technology further enhances structural integrity, and a polycarbonate shell helps protect against sharp objects. The Tectal Race SPIN has a goggle clip in the rear and features an adjustable visor. The all-new Tectal’s most standout feature is its SPIN padding. Instead of using a MIPS liner, POC uses a more simplistic design. Silicone-filled pads provide the helmet with a closer-to-the-head fit that allows a rider’s head to shear in any direction during impact. POC sells the new Tectal Race SPIN for $220 and offers it in three color options. Field test results: To be honest, we were a bit skeptical of POC’s new SPIN technology; however, once we got our hands on the new padding, our opinion began to change. If you’ve worn a MIPS-equipped helmet, then you have likely felt the movement the thin yellow liner offers. We placed POC’s new helmet on our heads, and while the amount of movement was noticeably less, we couldn’t deny the shearing effect offered by SPIN. The Tectal Race had a comfortable fit, and the slightly thicker pads provided better comfort than some MIPS helmets. The new Tectal is a comfortable helmet with great coverage and solid construction. The visor easily adjusts out of a rider’s field of view and stays in place over rough terrain. We noticed the helmet fit the majority of our testers well and provided great ventilation, even with its deep coverage and solid construction. The helmet does come with a steep price tag, and its SPIN safety technology is only designed to address rotational forces, unlike 6D’s Omni-Directional suspension or Leatt and Kali’s Armourgel that are designed to protect against direct forces as well. Overall, POC offers a great helmet that’s built tough and claims to offer increased safety. We recommend this helmet to any rider looking for advanced protection. Hits • Great construction • Well-ventilated Misses • Hard to prove if SPIN is as effective as MIPS • Steep price tag www.pocsports.com THERE ARE SO MANY WAYS TO GET ELECTRIC BIKE ACTION In print, from the Apple newsstand, or on your Android device, from Google. Available from the Apple Newsstand for reading on your iPad, iPhone or iPod Touch. Subscribe Here For more subscription information contact (800) 767-0345 Got something on your mind? 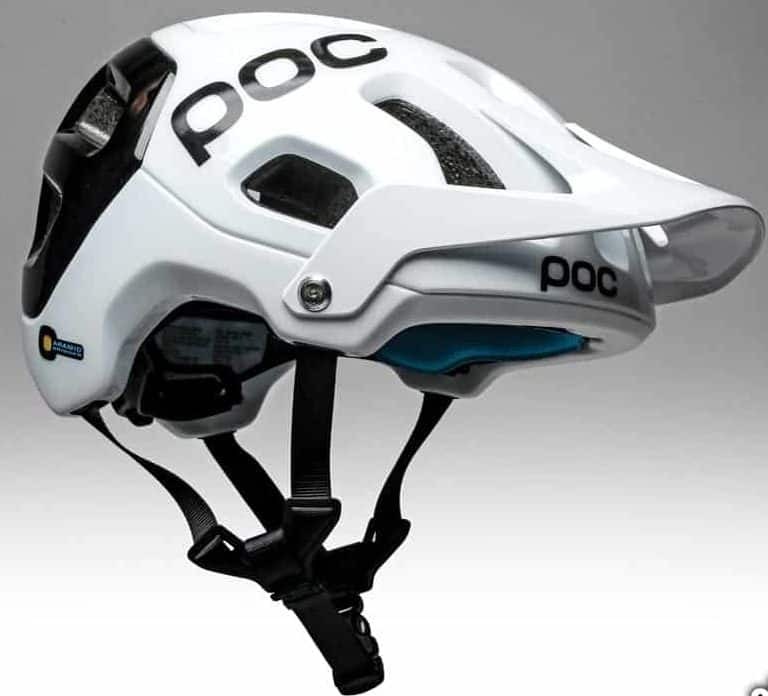 Let us know at hi-torque.com The post Product Review: POC Tectal Race Spin Helmet appeared first on Electric Bike Action.